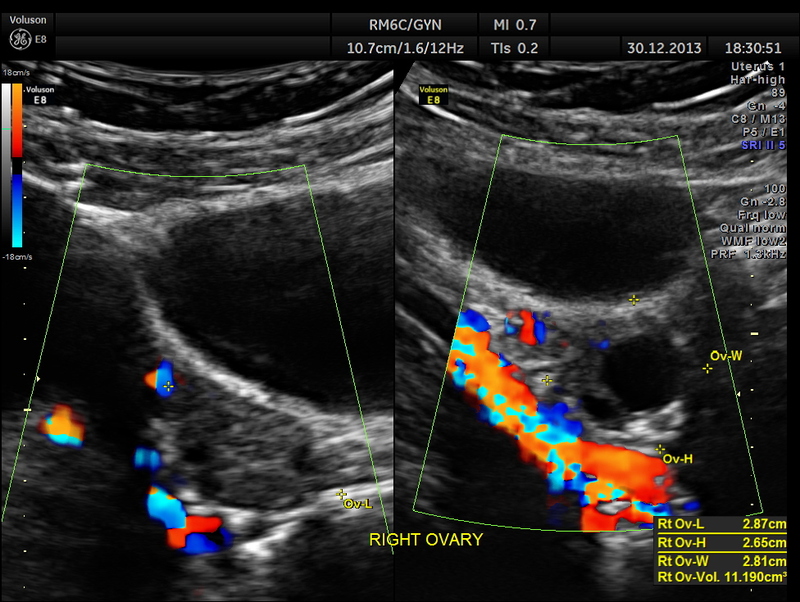 This was a 25 year old young lady who was evaluated for recurrent right lower quadrant colicky pain , unrelated to menstrual periods . 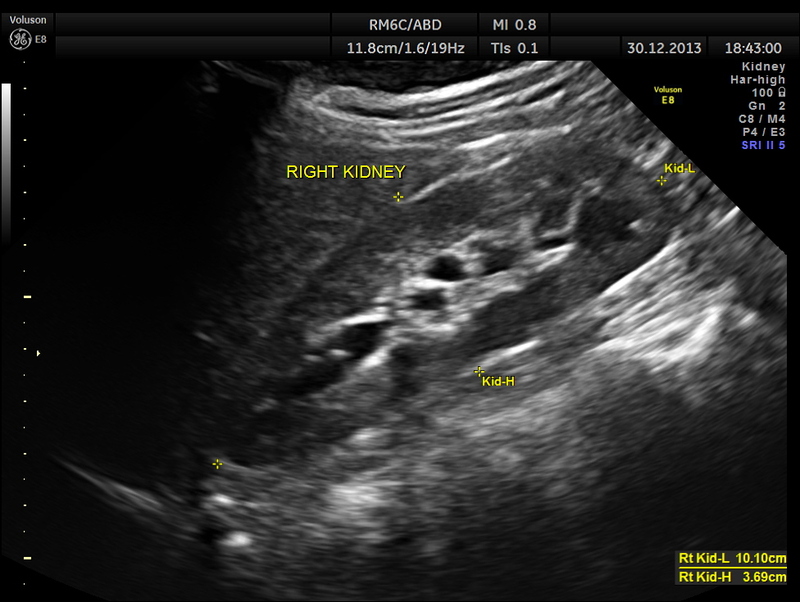 Her bowel and bladder habits were regular and not altered. She also complained of dyspepsia on taking oily food. The following pictures were obtained. 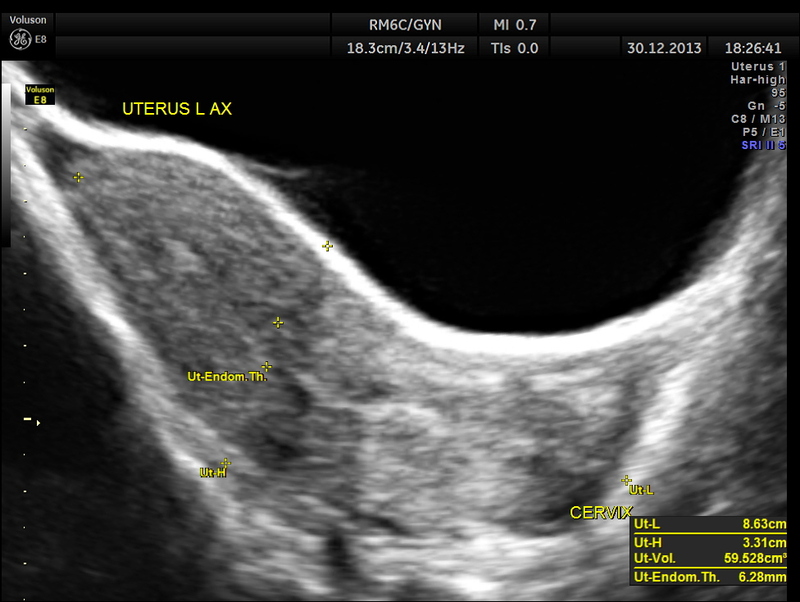 the next is a coronal view of the uterus. 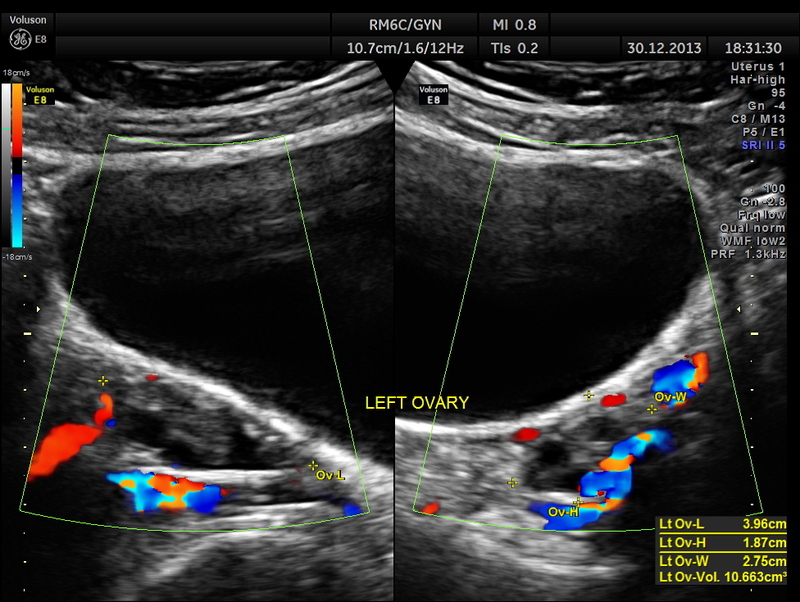 the ovaries are shown below. 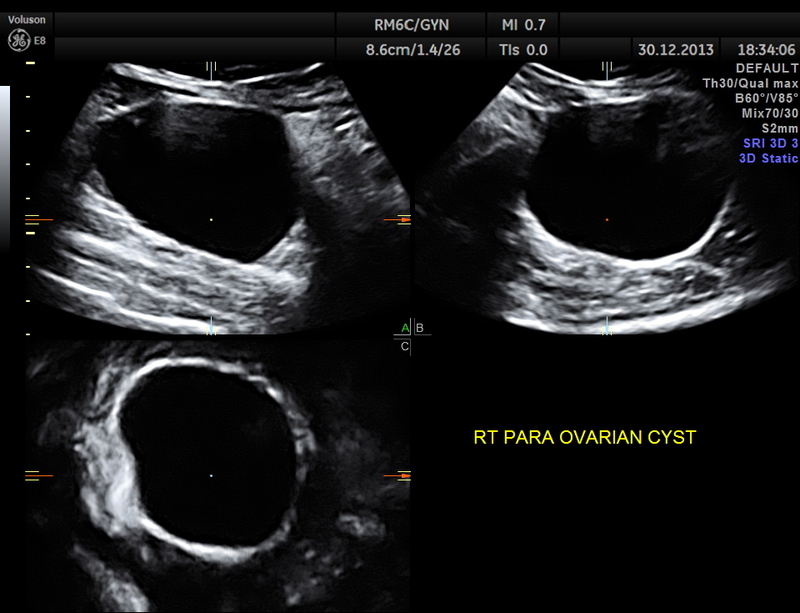 A para ovarian simple cyst was seen in the right adnexal region separate from the right ovary. 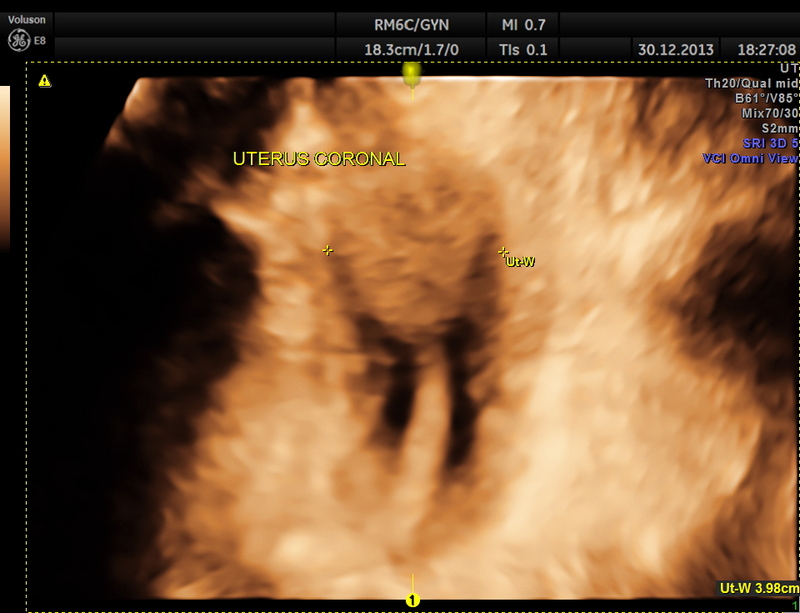 multi planar view is given below. 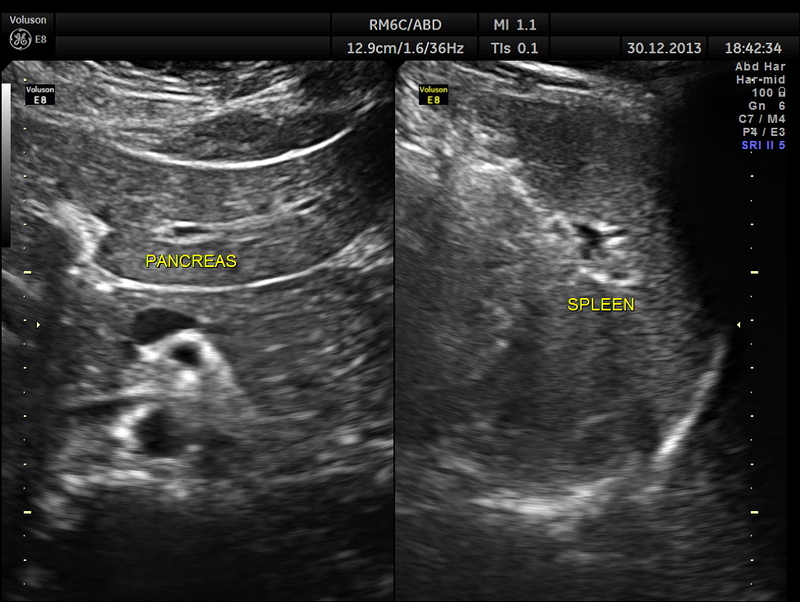 Pancreas and spleen were normal. 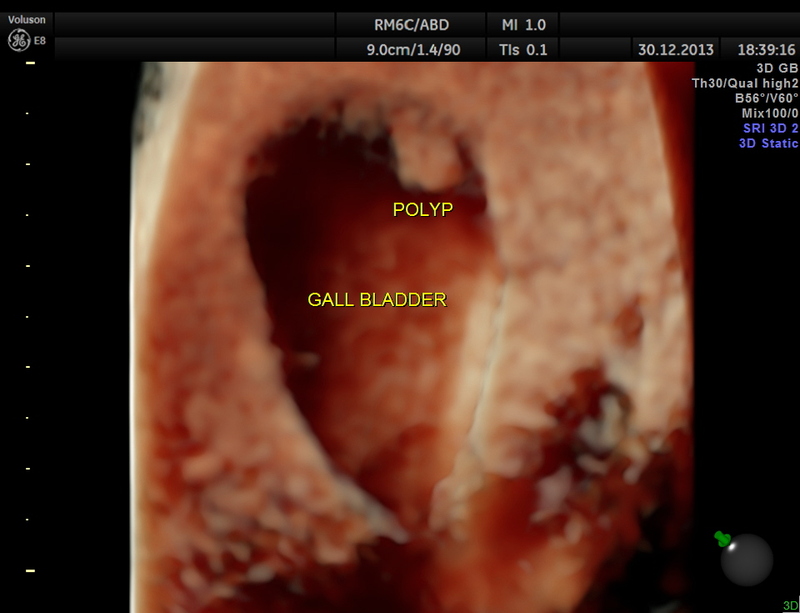 GB Polyp is seen . 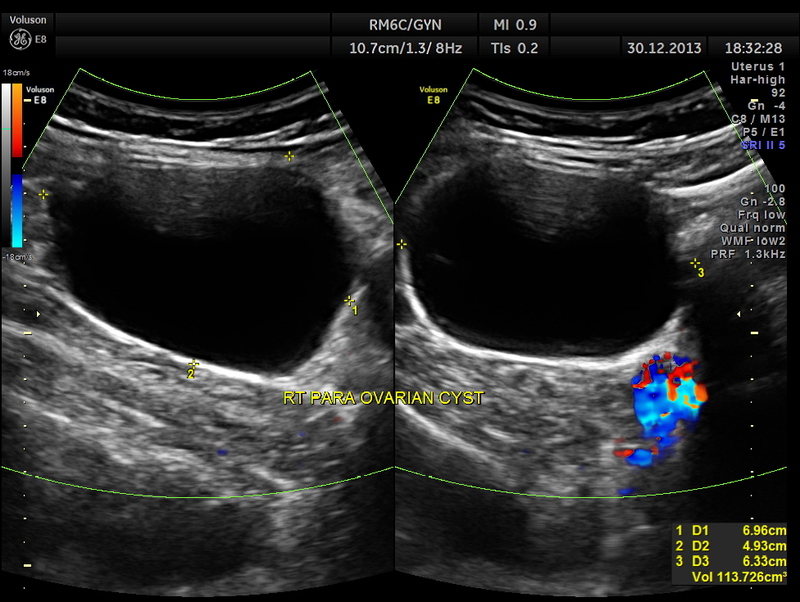 Colour flow imaging shows flow. 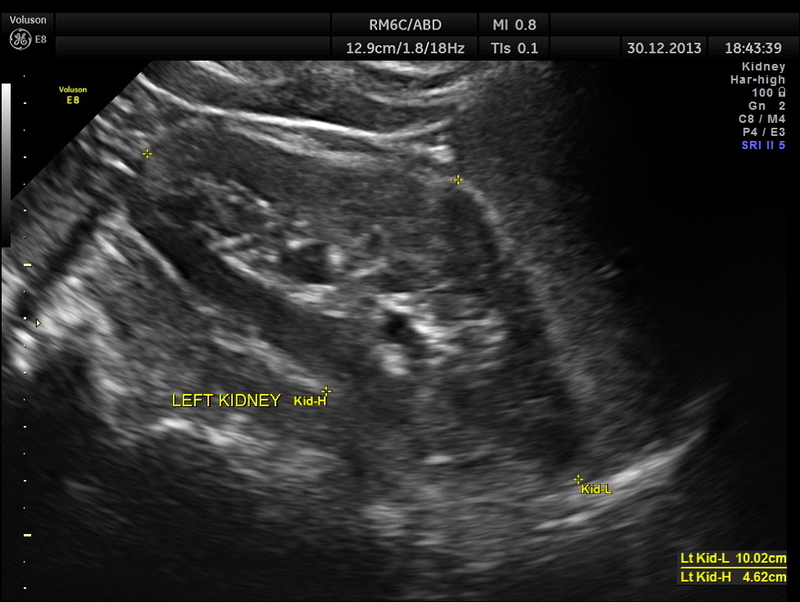 the high definition flow image is given below. 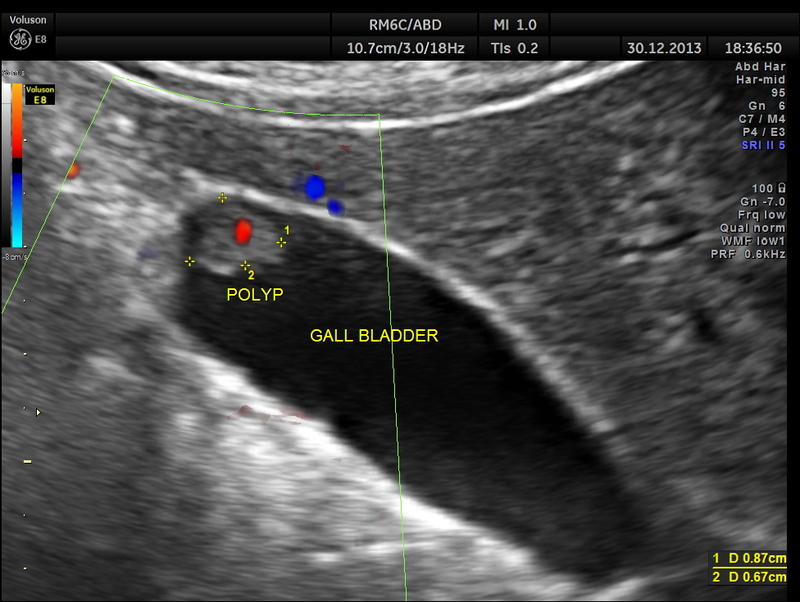 This patient had a GB Polyp ( which would explain her dyspepsia ) and a right PARA OVARIAN simple cyst ( which would explain her right lower quadrant colicky pain ). The patient did not turn up for any follow up after that. Thanks agin for the cases!